WHEN A WWF volunteering expedition brought Stella Diamant, now 28, to Madagascar just a few years ago, she had no idea that her experience on this remote Indian Ocean island-nation would transform her life. At the time, scientists didn’t know that there was a whale-shark aggregation in Madagascar, though some sharks had been seen around the small resort island of Nosy Be. With no-one else studying them, Stella decided to take on the task herself, and set up a research project. At the time, fewer than a dozen individual whale sharks had been identified on whaleshark.org. Now, there are more than 300. I met Stella when she visited Tofo Beach in Mozambique, where I live, for a few weeks, so we had ample time for her to fill me in on her story. Born in Belgium, Stella studied biology in the UK at the University of Warwick and gained her MSc from Imperial College in London. 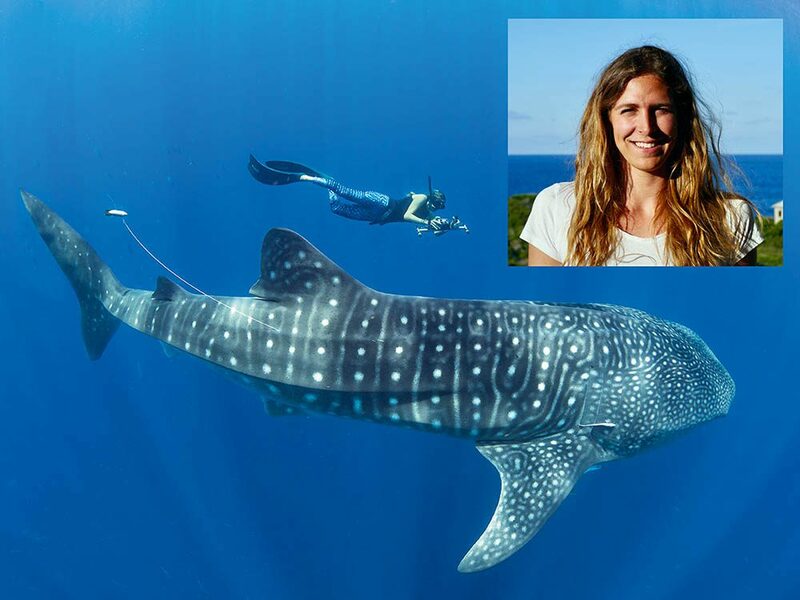 Her first step in setting up a research project in Madagascar had been to arrange with whale-shark operator Les Baleines Randeau to collect photo IDs of the sharks it saw. “We got IDs for about 130 different sharks in a year,” she told me. “Back in 2015, the locals believed there were around 30 sharks, so when we realised there were over one hundred, we were really excited. Stella knew that she needed to complete a full season to investigate further. She gave up the security of a job, moved in with her parents and set up the Madagascar Whale Shark Project (MWSP), which was a collaboration of researchers from the Marine Megafauna Foundation (MMF), Florida International University and a local NGO founded by Les Baleines Randeau, MADA Megafauna. WHEN GATHERING DATA, Stella and her team freedive to take photo IDs because the sharks, busy looking for food, swim so fast. 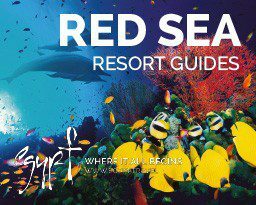 also choose to add scuba, including a night-diving with fluorescence-only special offered by Sakatia Lodge. 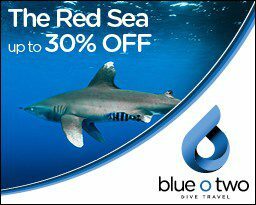 When the whale-shark season begins in September, the water is perfectly blue, with 30m visibility and rough, windy conditions. Around mid-November the water warms, the wind drops and plankton builds up, with trichodesmium blooms making big patches in the water. This reduces visibility but, of course, attracts a huge number of sharks before the end of the season. Among the unusual aspects of Nosy Be, according to Stella, are the tuna aggregations: “Each time you jump in, there’s movement all around, with birds feeding and tuna pushing tiny baitfish to the surface. A SPECIAL MOMENT occurred one day in mid-November, when there were so many sharks that Stella and four colleagues decided to hire their own boat to take as many skin samples as they could: “We had the best conditions of the season, and saw maybe 11 sharks. The team was like a well-oiled machine, collecting photo IDs and biopsies one after the other and, before we knew it, our data collection was done. “Then we saw a really big, bulky shark in the water. At close to 9m, he was the biggest I’ve ever seen. He was completely chilled and just started vertical feeding with us around him. While the whale sharks are a huge draw, Madagascar has much more to offer ocean-lovers. During my time with Stella, we spent hours talking about her experiences of the island’s incredible marine diversity – from the time they saw four species of dolphin in one day to seeing water so full of tiny shrimp that it looked as if the manta rays and Omura’s whales were feeding on huge clouds of red krill. “The conditions are always beautiful and flat and the water is very blue,” said Stella. 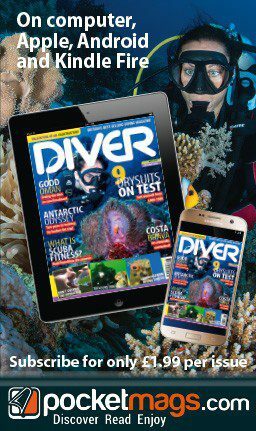 “We have lots of cool things for anyone obsessed with marine life. We have mobula rays, turtles and Madagascar is the only place in the world that we can see the Omura’s whales all year. MANY OF HER MOST treasured memories, of course, are of her whale sharks: “I think there’s something really special about being alone with a shark and that they let you be there with them. If they don’t want you there, they would just leave, so it’s very humbling when they stick around. “When I arrived back in Madagascar last year, around 11 or 12 September, it felt so strange. These huge, life-changing things had happened to us in the year I’d been away – Trump becoming President for one – but we had no idea what these sharks had been doing. Incredibly, Stella not only names all her sharks but also memorises their spot patterns by heart. Each one has little scars or distinctive dots, she tells me, which makes it easier to recognise them once you get your eye in: for example, Hydrus has a hidden infinity sign in his markings, Theodore has four dots in a line and Michel has a “pizza dot”. At first, I couldn’t quite believe that someone could recognise each individual shark, but the way Stella talks about them fondly, like old friends, makes it clear that she really does know them all: “I wanted to be able to tell who they are from sight, because it makes my life much easier. Michel, easily recognisable by his distinctive cut tail, is the most sighted whale shark, having been seen nearly 40 times since he started visiting Nosy Be in 2015. While beautiful and photogenic, the 5m male is very shy, and never hangs around for long. Knowing all the sharks so well makes it difficult to pick a favourite: “I like Sirius because he always comes to check you out. Raymond was my favourite but he must have now become an adult and has gone off to do… whatever adult whale sharks do, as we haven’t seen him since last year. We really don’t know. 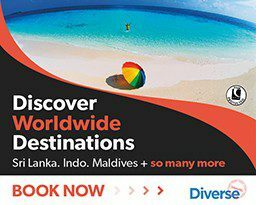 WITH AN INCREASING NUMBER of tourists heading to Madagascar to see the whale sharks, the protection of the species – which is classified as Endangered on the IUCN Red List – is hugely important. As such, Stella has developed a code of conduct for local operators. These guidelines aim to improve encounters for tourists as well as preventing boat-strikes and protecting the species from harm. Since the code was implemented, Stella says she has already noticed a positive change, and has ambassadors across the island who support the cause. This will be increasingly important with the arrival of low-budget, mass tourism, particularly noticeable as a result of more direct flights from Milan. Stella has serious concerns about this: “Some people are completely clueless about how they should behave around whale sharks – I’ve seen people jump onto a whale shark or try to ride them – it’s awful and really dangerous! Stella and her team at MWSP have also recently been published in the journal Endangered Species Research. 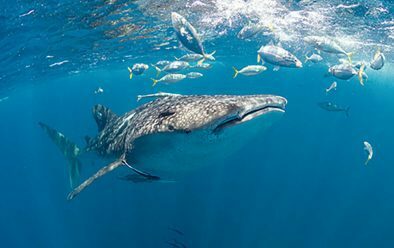 Their first ever published study about whale sharks in Madagascar revealed that the nation is a feeding hotspot for juvenile sharks (News, July). Eighty-five individuals were identified in a single season, none of which had been seen anywhere else before. Comparing these figures to other renowned whale-shark destinations puts this in perspective: 70 sharks were identified in Tanzania and 33 in Mozambique during the same year. I ASKED STELLA why this research was so important for the study of these gentle giants: “The main thing is that this has never been done before. The fact that we haven’t seen these sharks before adds a mystery but doesn’t solve anything. 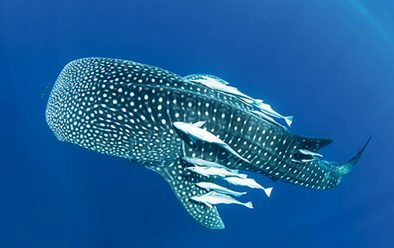 “It does show us, however, that a small number of whale sharks are present in a previously unstudied area – good news for the species. I hope, now we know that there’s a juvenile aggregation in Madagascar, that we can make efforts to protect them and their habitat. And her parting advice for tourists wanting to swim with whale sharks? “Please, use a sustainable operator. It’s easy to find one if you read up before you go, ask the right questions and choose an operator that is sticking to the code of conduct, and is aware of good practice. DIVING & ACCOMMODATION> A guide to dive-centres that abide by the code of conduct can be found at madagascarwhalesharks.org. Aqua-Firma offers eight-day whale-shark expeditions in October led by Dr Simon J Pierce and Stella Diamant. 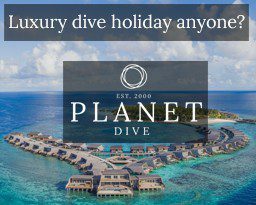 Scuba-diving is an optional extra. WHEN TO GO> September to November.